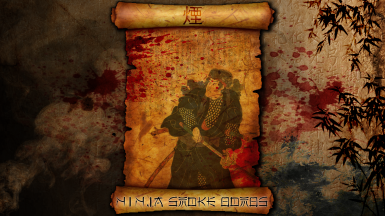 Ninja Smoke Bombs turn you invisible for a few seconds to escape a battle or give you a tactical advantage against your enemies. ﻿WATCH MY VIDEO ON YOUTUBE! Ninja Smoke Bombs is a mod that introduces a new type of grenade for Fallout 4. It allows you to turn invisible for five seconds to escape a battle or give you a tactical advantage against your enemies. The smoke bomb effect is very strong. It gives you very high sneak buffs, resist buffs, making you close to invulnerable while lurking in the shadows, and it actually breaks detection and engagement with enemies even if you were in the middle of a massive war zone. 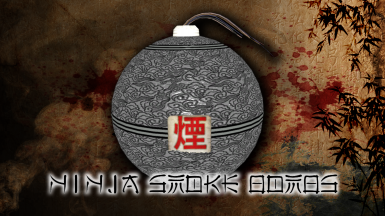 ﻿If your character is a ninja, at rank 1 of the Ninja perk the smoke bomb effect will last 10 seconds instead of 5. ﻿At rank 2 of the Ninja perk the effect will last 15 seconds, and it will also double your movement speed. 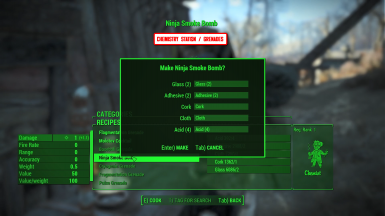 If you’re actually a master ninja the mod rewards you even more - at rank 3 of the Ninja perk the smoke bomb effect not only lasts for 20 whole seconds and gives you double movement speed, but smoke bombs from your inventory will be used automatically to save you from dying when your health would drop below 20%. 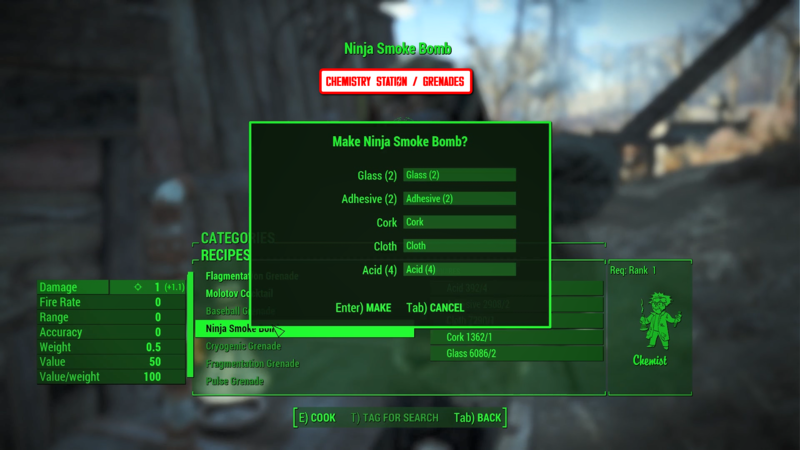 Enable NinjaSmokeBombs.esp using a mod manager or manually. 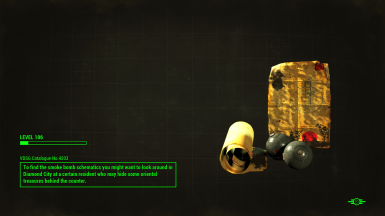 The new type of grenade can be acquired from weapon dealers throughout the wasteland since they were added to the leveled lists. 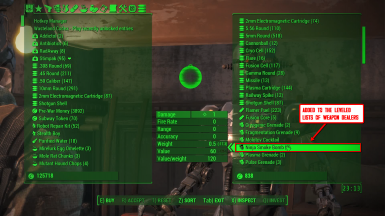 The mod however does not edit vanilla leveled lists directly, so you don’t have to worry about compatibility with other mods. 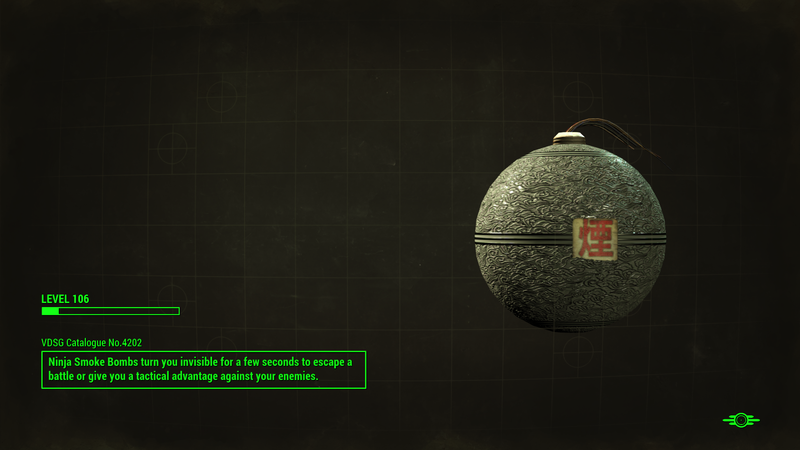 Ninja Smoke Bombs are quite rare items, much like Plasma Grenades, so in order to stock up on them a bit faster you might want to find the schematics that unlocks your ability to craft them at chemistry stations under the grenades tab. 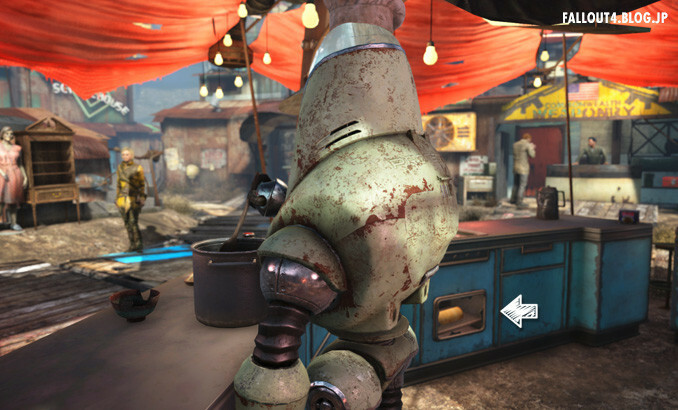 To find the smoke bomb schematics you might want to look around in Diamond City at a certain resident who may hide some oriental treasures behind the counter. In order to craft these bad boys, you may also wanna grab rank 1 of the Chemist perk. Smoke bombs cannot be used while wearing Power Armor. 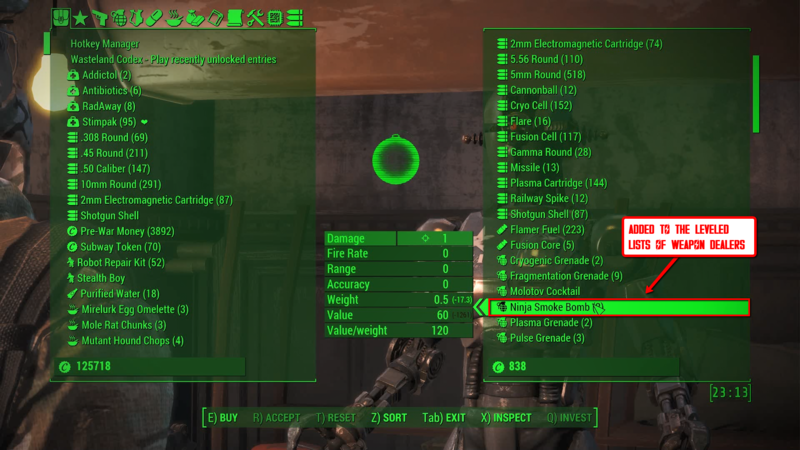 Craftable items use vanilla categories. Leveled lists are changed via scripts, no direct leveled list edits. Placed items are placed via scripts, no cell edits. No vanilla records have been modified except for the descriptions of the three ranks of the Ninja perk. If you're using any mods that change any ranks of the Ninja perk then place this mod higher in your load order. No other known possibility for any compatibility issues with any mods. There's a built-in dynamic compatibility with Valdacil's Item Sorting, VIS-G Item Sorting and Armor and Weapon Keywords Community Resource. The mod automatically uses the (Grenade) prefix in case VIS or VIS-G is installed, and adds the _WeaponType_Thrown keyword in case AWKCR is installed.